If you don’t know what Google cache is and why it’s important for your SEO efforts, you are making a common and critical mistake in your SEO efforts. So many hours of link building could be saved if SEOs and marketers knew how to evaluate sites with this in mind. 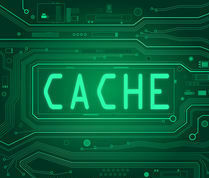 Google cache is simply the most recent version of a webpage that Google has crawled and saved in its database. You can check to see the cached version by simply entering the URL of the page you want to check and inputting the search operator cache: before it. If the page returns a 404 error when you do this, it means the page has not been cached by Google and any links built from that page are not recognized. There are many reasons why getting Google to cache and crawl your site as well as other webpages regularly is important, but in this post I’m going to focus on caching from a link building perspective, which has the biggest impact for SEOs like myself. In short, if you build a link on a page (think directory, local citation, etc.) and it returns a 404 when check the cached version, it’s possible the link you just built is useless. What to do if your link is not cached? Now, if you have built a link and it returns a 404, don’t panic just yet. It does not mean that the site has noindexed (a term in a robots.txt file that tells the Google crawler what to index and what not to) your page. It might just mean that Google has not visited this page on that site yet. In my time as an SEO, I’ve noticed that almost instantaneously caching of a page you submit. However, if the cache test returns a 404 page and you really want that link to go live, there’s a workaround that I have heard about but have yet to test myself. Link to that page from another page you have control over and submit that page for indexing. The theory behind this is that Google won’t cache your page because the robots.txt file of that website is telling it not to. But you could theoretically bypass those instructions by having Google visit the page directly from an external site. Now sadly, if your site does not cache, you’ve been sold snake oil. It happens and sometimes you won’t be able to tell why your page isn’t caching, even if there are other seemingly similar pages that aren’t. Why are these websites not letting your page cache? Many sites do this because they don’t want to get penalized for having too many low quality links. While many directories and article sites do offer cached links and have found ways around this issue, some have decided that there are enough ignorant/careless people out there who will still build links to their and therefore they can continue to enjoy traffic without delivering value to users. What’s worse in my mind is that SEOs and internet marketers continue to share and promote these bad sites as if they provide value to readers when they in fact don’t. Whether they know about this or not is not certain. The world is full of bad SEOs. Yet I learned about this critical fact in my first month as an SEO. It also might be that SEOs have become so dependent on tools and haven’t been taught to check these fundamental issues. What’s more likely is that what’s popular right now for SEO is long-form content to generate links. The trend is to push out 2,000-3,000 word content because according to Google stats, that’s what ranks best and generates links naturally. Because if it’s longer it must be better! (I say such things in jest). 1/5. Even I didn’t expect to be so low. So basically don’t believe everything you read on the internet! Hope you enjoyed this, found it useful and if you have questions feel free to reach out!